How to draw Manga kick pose. This video tutorial shows you how to draw an anime girl in a kicking position. Here is another tutorial of how to draw Anime girl. This time we will draw a basic kicking action. We first start with a rough gesture sketch. Then refine it into a finished drawing. This should be easy for every artist to follow. If it is a bit too fast for you, press pause. Then you can keep drawing along. You will find video tutorial on the top. You can scroll down further to see step by step images with instruction. The video should be able to make you understand how I draw from start to finish. 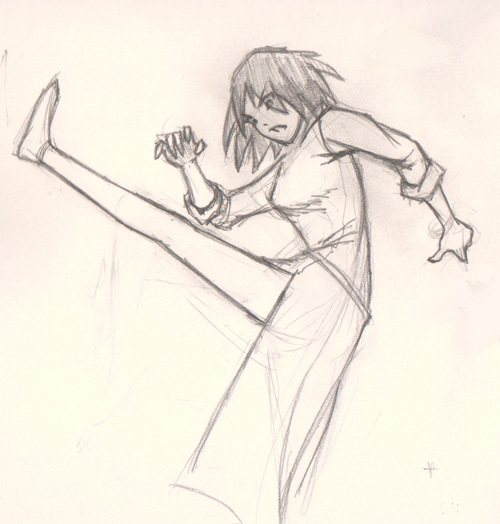 As I said we should start with basic gesture lines to get all the movement and rough action sketch. I suggest that in the initial state you should draw very light. When you draw light, it will be easier to erase and modify. Action pose can sometimes be very difficult to draw, so it might take a few edition to get it the way the artist intended. 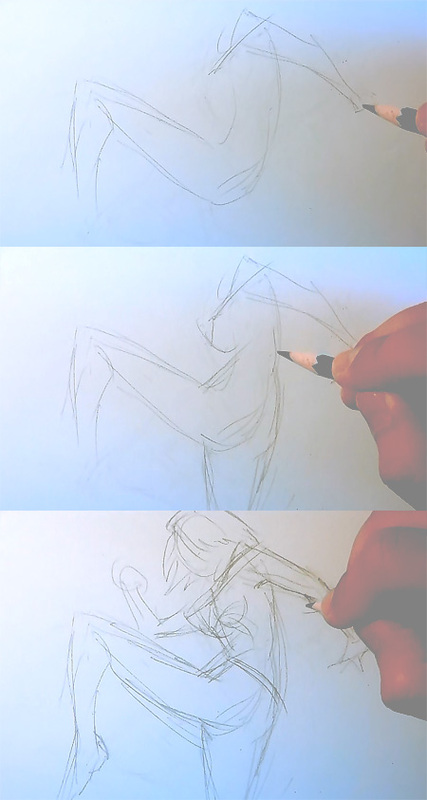 Below are step by step images of Manga drawing Kicking pose. These should help supplement the drawing video tutorial above.